Well Skydiving is one Sport that I keep promising myself I ought to do it someday and i did it finally in Dubai Palm Jumeira Skydive. I really love how some of these pictures show us just how tiny and fragile we are, and yeah, this is a big planet! Kuddos for the people brave enough to do it! And, I hope you enjoy these pictures… also, you should really visit each photographer’s page for more of these!! 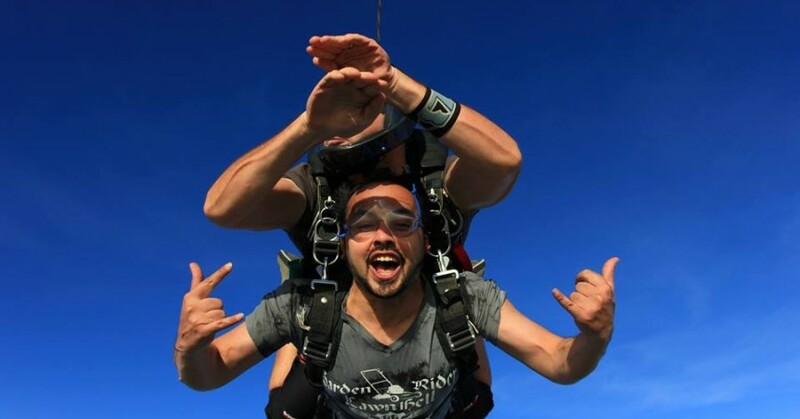 and for the last one yup That’s me 😉 i suggest you skydive lovers that go for one jump and you will do it again and again!